I probably return half of the clothes, shoes, and accessories that I buy. In some ways, this isn’t a bad thing. When one tends toward impulse buying, some of the purchase decisions made are not good ones. Thus, it can be good to realize buying mistakes and remedy them through the return process. Better to make returns than to have clothes hanging in your closet with their tags still attached. However, I have to admit that a large portion of my returns are done with an alternate aim. 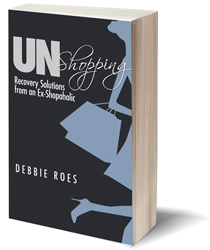 I often return unworn items to shop more or to do damage control for over-shopping. When I’ve exceeded my shopping budget, returns can certainly mitigate the financial damage done, but wouldn’t it be better to stick to my budget in the first place? This past weekend, I returned close to $800 worth of items bought in recent months. I had reviewed my budget on Friday to learn the cold, hard truth of my overspending. By mid-March, I’d already exceeded my 2013 budget by close to $600 and I needed to right this wrong. Are you a “serial returner”? My returns consisted of two pairs of shoes and two purses. One of the purses had been purely an impulse buy. I knew it didn’t fit within my budget, but I rationalized that I’d simply spend less in the coming months to make up for it. Yet I knew it really doesn’t work this way. My budget exists to control spending on a month to month basis and spending money from future months is strictly not allowed. I knew when I bought the purse that I shouldn’t have done it, but I heard the words “I’ll take it” coming out of my mouth and felt myself handing my credit card to the sales associate. Once I did the math for my weekend returns, a familiar feeling came over me. My returns would put me close to $200 under my budget, so that meant I could buy more! I stayed up late Friday night reviewing online shopping sites and planning potential buys. After I turned the lights off to go to sleep, visions of jackets and shoes danced in my head. I knew my shopping rules dictate that I can only buy as many items as I return, but how cool to buy even one or two new things! Few things excite me as much as shopping, and this fuels my buy, return, buy cycle. When I return things, I get to buy more and once again experience the exhilarating high that shopping gives me. Some people drink, some do drugs, others gamble. I shop. That is my “addiction,” the thing I most look forward to doing, the thing I can’t seem to quit. I have come to understand that it isn’t really the things I buy which matter. It’s the shopping process itself that’s so compelling. The four items I returned on Saturday were things I had to have when I bought them, yet they languished in my closet, unworn and unloved. Over time, I came to view them as opportunities to shop again instead of pieces for me to love and wear. So out they went to make way for the new, and the cycle continued. Some returns are merited and should be done. Shopping with a list and pausing to consider the pros and cons of proposed buys can help us in making better decisions before reaching the cash register (or the online shopping cart). 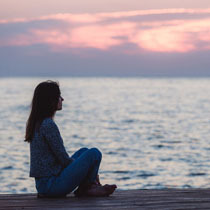 I don’t wish to beat myself up for returning things so often, yet I feel it’s good to be aware of my behavior and examine the motives for doing it. It is my hope that as my “recovering shopaholic” project progresses, my serial returner activities will decrease. I hope to learn to dress with less and buy less often and more strategically. I also hope to discover other hobbies which I can enjoy as much or more than shopping. Perhaps I can experience the high I get from shopping through alternate activities, things which feed my soul and uplift my spirit. While I’ve only had a brief glimpse into what a world without compulsive shopping looks like, I have faith that it’s out there for me and for all of my fellow shopaholics. I want to return to myself and to the joy of life, not merely to the mall with a bag full of buying mistakes and a heart full of shopping dreams. Nice post. It also helps to remember that salespeople lose their commission when you return an item (most employees at department stores and luxury stores do work on commission). If you continually buy and return, the salespeople spend their time but don’t make any money–think of it like not tipping a waiter, which is something that almost no one would do. Sure, returns happen, but continually buying and returning items only hurts the salespeople. (If they work full time, they don’t usually have a base salary–only commission.) I’m pretty sympathetic to this, as my mother worked in retail for many years. Elle, Thanks so much for your comment! You raise a really excellent point and one that I didn’t think too much about until I read a recent article written by an ex-Nordstrom employee (http://www.sandiegoreader.com/news/2013/mar/13/cover-selling-service-nordstrom/). The last thing I want to do is hurt a hard-working salesperson, so this is another good reason to reform my shopaholic tendencies and stop buying so much in the first place! I think that other than buying less, another way to lessen returns is to have a pause between wanting something and buying it. Jill Chivers of “Shop Your Wardrobe” calls it a “power pause” and recommends two hours to two days. I think that if I took Jill’s advice more often (it’s often possible to put items on hold), I would make better buying decisions and need to make returns less often. One suggestion: why not buy from places like Nordstrom and LL Bean (w/ their credit card) that offer free return shipping? That way, you wouldn’t have to go back to the store. Thanks for taking the time to comment and for your suggestion. While I have often ordered items from Nordstrom online, I have never done the returns by mail. I think it’s great that many stores are now offering free shipping and free returns, especially since some items (e.g. tall sizes, which I definitely need for pants and some other things) can only be ordered online. For me, I think having to go do the return in person is a good thing, as the hassle and embarrassment help me to more deeply consider my purchases. I don’t like doing returns, so hopefully I will be more thoughtful in making my purchases. That’s the intention – and the hope – anyway. I appreciate your feedback and I hope you will comment again! I am feeling exhausted just reading about the amount of time and energy you spend on clothes shopping. I recently had to find a mother of the groom dress and it entailed much shopping, ordering online and returning due to size challenges. I found the whole process tiring and was glad when it was over although. Perhaps you might want to focus on other ways you would like to use your time and energy – learn something new, volunteer, etc. Just a thought. Juhli, Thanks for your comment. You are right in that I spend far too much time and energy on clothes and shopping. That is a big part of why I started this blog and why I will be doing Project 333 beginning next week. It is my hope that the process of writing about my struggles with compulsive shopping, in addition to taking on challenges like Project 333, will help me to shop and obsess less – and hopefully will inspire others as well. Your suggestions to volunteer and learn new things are helpful, too. I have done lots of both over the years, but still have the shopping problem… I think that a combination of factors contribute to compulsive/addictive problems, and a combination of solutions will help to overcome such issues. It is probably never just one thing. I do know that I am tired of having too many clothes and spending too much time and energy on the whole thing. I feel that Project 333 will help me a lot. I am excited to get started! I have been reading all of your archives with great interest since I have enthusiastically begun to purge my own closet. This topic struck a nerve with me because I am a serial returner too, but for a few different reasons. Shopping for me, if I am searching for something specific, is a sport which I approach with a huntress strategy to find the best item at the best price. But most of the time it is a means for me to relax (translate: escape) from a hectic work/family life. When I am shopping I am anonymous and no one can reach me for a short blessed time. I get more out of a relaxing meander through a store than an hour with a therapist. During these forays I am drawn to purchase items that seem like they would coordinate with other things in color, or are of a new style I want to experiment with on my body type, or are just whimsical and make me feel like I could express a new side of myself. I have never made myself a clothing budget and have almost no idea of what I spend on clothes each year — the math would be exhausting. I probably return more than half of what I buy because when I get it home, its not perfect enough because I didn’t put clear thought into an impulsive act of purchase in the first place. Because I buy most of my clothing on sale, I generally spend about 300. each month, but its always part of a cycle of circulation, so I am probably really spending less when you factor in what I actually keep out of my purchases.. I have been in this cycle of buy/return for years. What I need to do is find an anonymous relaxing activity besides shopping where I can be alone to zone out like I need to. Deborah, I’m really enjoying your comments and identifying with them. Like you, I’ve used shopping as a means to relax or deal with stress. That isn’t necessarily bad when used in moderation, but it became my MAIN coping mechanism and I was spending FAR too much money and overloading my closet. I still need to come up with some new coping mechanisms, but I’m glad I’ve reduced my shopping this year. Looking at the numbers can be daunting but helpful. If you haven’t already done so, check out my early “Cold, Hard Truth” posts. I’m brutally honest there, but the truth is freeing and a good first step toward healing. Another post you might enjoy is “The Reasons We Shop Too Much.” Thanks for reading and for your insightful and honest comments! I’ve read all your blog posts to date and am currently re-reading them in order. I identify a lot with what you say, but this post addresses my biggest problem. I am definitely a serial returner. The salespeople at my favorite stores all know me and look at me warily whenever I enter the store with a bag. In fact, one of them asked me why I return things all the time since it must drive me crazy, and she recommended I see someone to get help! While I was highly offended that she said that, it did make me realize that I do have a shopping/returning problem. I wear petite sizes which are rarely available in stores, so I order a lot of things online. Because I don’t want to pay for shipping, I will usually order multiple sizes and styles, and sometimes things I don’t even want, just to reach the free shipping minimum and to ensure I get the right fit. Part of the problem with this is that once something is in my house, I tend to fall in love and think of it as mine even if I planned all along to return it. I’ve wasted so much money this way. Most of the time, I do love and wear those items, but they are not in my budget so I should never have bought them in the first place. I just hate the thought of losing around $10 in shipping every time I want to order a petite t-shirt. I tried ordering “filler items” that I find ugly or outrageous to make sure I return them, but this is still a problem because I spend way too much time, effort, and gas money driving back and forth to the mall to return things. For the past 6 weeks, I’ve been reading your blog and trying to moderate my shopping and become a more mindful consumer. I was doing reasonably well for the first 4 weeks. I even survived having a shopaholic friend stay at my house for 3 weeks! We went to the mall 3-5 times per week (despite my frequent suggestions to do other things), and I only tried on things that were on my list. In the end, I bought only 2 items, and they were both on my list and within my budget! Unfortunately, I recently pulled out my fall clothing and realized I have a problem. I’ve gained some weight in the past year due to health issues, and I now have only 3 t-shirts, 5 blouses, 1 skirt, and 3 pair of pants that fit me for fall/winter. That may be enough for some people, but I like to look nice and have variety in my wardrobe. Since there is so much on my list, it’s going to be nearly impossible to stick to my small budget and not over-shop. I’ve already placed 3 huge orders for everything from basic tees to going out dresses to a variety of blouses and a few jeans. According to my budget, I should return about 80% of this and I am terrified that I will “fall in love” with something I can’t afford to keep. I’m also dreading having to face the salespeople when I walk into the store with a huge bag full of items to return. I obviously still have a long way to go, but I really appreciate what you have done on this blog. If you can be honest about your journey and make progress, maybe I can do the same. Welcome, Samantha! I’m glad you like my blog. I can identify with so much of what you wrote! I definitely buy and return far too many items, but I’m gradually reforming my ways. As you read, I often drive to alternate store locations in order to avoid the type of rude comments you received. I often feel embarrassed to return so much, but when one buys online, it’s natural that many pieces won’t work out. There is absolutely NO size standardization, even within brands, so it’s hard to know what will fit. I sometimes order two sizes just in case, so I know going in that I will return something. I’ve done what you do in terms of ordering more items to reach the free shipping limits, but now I’m trying to only order from stores who offer free shipping and free returns. Even with that, there can still be a lot of time and energy involved with buying and returning lots of clothing. I think you need to give yourself credit for your progress! To only buy two items after going to the mall with a shopaholic friend multiple times is quite an accomplishment. As I’ve written about many times, our progress is often two steps forward and one step back, so try not to be hard on yourself regarding your recent shopping. You may struggle to determine what to return among your new items, but give yourself some time to mull it over and make decisions. You CAN do the right thing! I really struggled to return the striped dress I wrote about recently and even shed a few tears, but ultimately I did what I need to do for my budget. Let me know if you need any support. I believe you and I can overcome our serial returner ways! I have the same problem. I want to change my lifetime shopping/returning habits so I came up with a solution that is working for me. I went through my closet and pulled everything out that still had a tag on it. Then I bagged it up with receipts enclosed and asked my daughter to help me. She is returning everything for me (from 6 stores). I am paying her a little for gas money and that way I am not stepping foot in any stores. I also made a list of stores where I lack impulse control. I will not set foot in any of those stores for awhile. If I have to go to Target (where they have cute clothing as well as groceries) I will go with a list and stick to that. I have also unsubscribed from the daily shopping deals online. I can do this and have in the past but it creates a new problem for me. It makes me want to EAT. I have lost 45lbs and intend to work on the next 50lbs this year. I am actually looking forward to not shopping and not over eating – and seeing what feelings come up. I’ve been so used to ‘numbing out’ with shopping and eating in the past that I want to find things that give me pleasure in a healthy way. Thanks for your comment, Ruth. Good for you for finding a creative solution for your return issue. I wish I had a daughter who I could send to do my returns… 🙂 Regarding the “symptom substitution,” that is quite common. For me, the reverse was true. 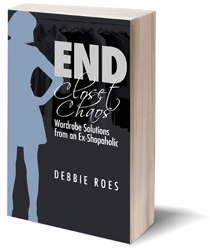 I suffered from eating disorders for many years and also had a shopping problem. As my eating disorder improved, my shopping got much worse. I think we need to deal with the underlying issues or we’ll continue to have new compulsions crop up. Easier said than done, but realizing the problem is an important first step! I found this very interesting as I have never returned anything in my life, at least, I am hard put to think of anything! First, it is too tiring and time wasting and second, if you have thought about what you buy, why would you return an item? I recall having a roommate in the early 80s who returned items from high end stores routinely-she was highly skilled at removing tags, wearing a dress once, then reattaching the tags and returning the item for a refund, and flattering herself she could afford to shop at Saks-it was really a way of status hunting for her. I thought it was unethical then and still do. The article about sales assistants losing commission as a result would stop me ever doing it. Working with a personal shopper is one way of avoiding the returning trap. At least, it works for me. I definitely don’t approve of what your former roommate did! I have a friend who has done that quite a few times, too. There are lots of reasons why I return things. A few include: I already have something similar in my closet (and didn’t remember), it doesn’t incorporate well with my existing wardrobe, it looks different in my mirror at home (sometimes stores have “skinny mirrors”), I find something I want more, etc. The list can go on, but I don’t return things nearly as often as I used to. You’re right that it IS time-consuming and time-wasting, just one of the reasons why I’m working to reform my behavior!